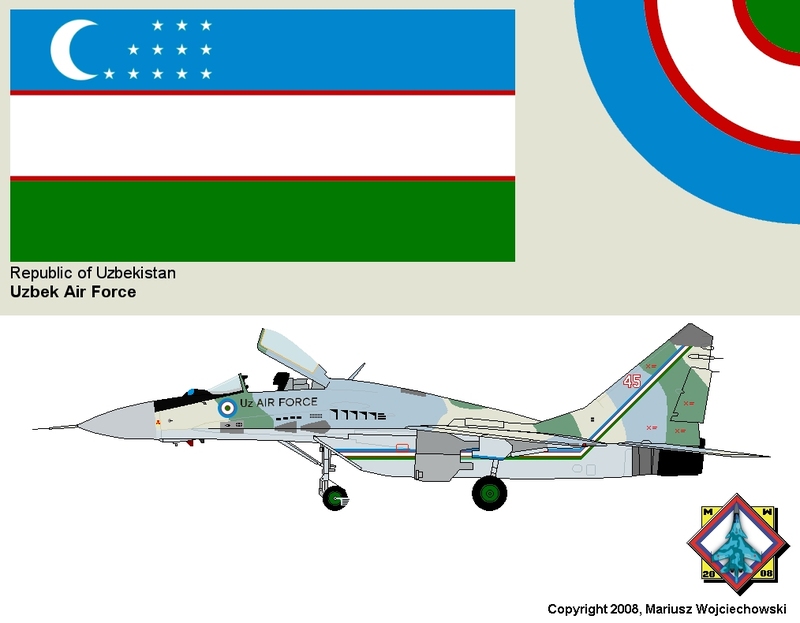 Uzbekistan obtained MiGs in 1991, when USSR split. It was former 115th Guards Fighter Air Regiment in Kokaydi base. Some of them were overhauled and repainted, probably in 1995 and about 2005. Flying a little, Uzbekistan is selling its MiGs with help of private companies in USA (for example 6 aircraft via «Redfish Trading Company» San Antonio in 2017). Many MiGs are stored in open air for years, so operational is rather not so many (completely lack of information). In the end of 2017 Uzbekistan wants to overhaul 8 aircraft, not in Russia but in Belarusia (558th Air Repair Plant in Baranovichi). 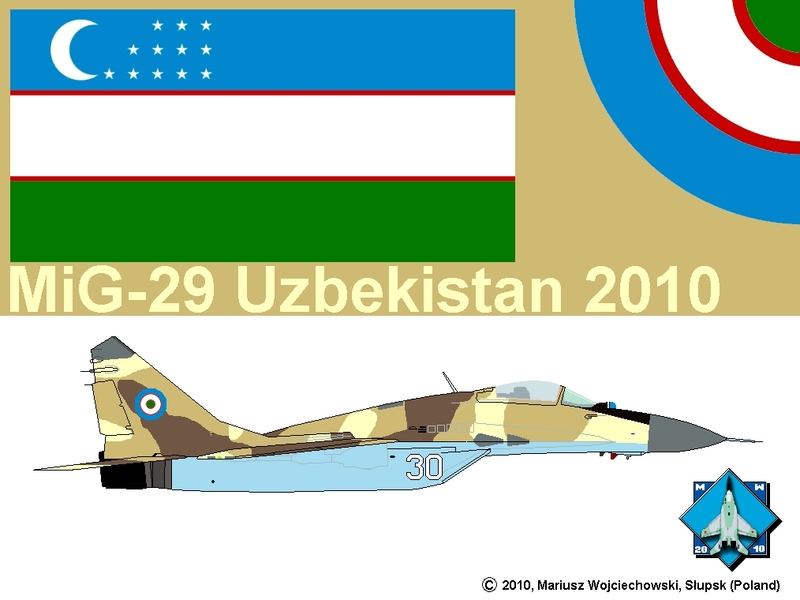 MiG-29 #45, Uzbekistan, about 2005 (#03 has similar camouflage). MiG-29 #30, Uzbekistan, 2010. Recently overhauled in Krasnodar ARZ (Air Repair Plant @ Krasnodar). MiG-29 #29 and MiG-29UB #61 have similar camouflage.